A specter is haunting America – the specter of 9/11. This event, still being unpacked 15 years later, especially haunts Kennedy, an airport security expert who trains TSA agents. Kennedy flies constantly, motivated by the death of his little sister who died in the September 11 attacks. Due to his unique skills and circumstances, he is picked up by the CIA to help stop the biggest terror plot in American History, thus becoming the titular asset. The Asset is a Bond-ish / Bourne-ish thriller with all the twists and turns that make the spy genre what it is. Kennedy is despondent. His work seems have no impact on the actual safety of the world, he dreams of his dead sister, he has no place to call home, he barely sleeps, kept motivated by the tips of his favorite self-help guru. Then it all changes when he is recruited by the CIA to actually put his talents to use. As it happens, America’s biggest vulnerability is still its airports – a fact the antagonist knows how to exploit. To top it off, he’s reconnected with a beautiful and semi-famous woman he knew when he was younger. Things are looking up for Kennedy. This appeals to the fantasy that so many have, of being drawn from the hum drum to the crucial, of the uneventful to significance. Kennedy escapes terrorist, battles the baddies and keeps his head in even the most outlandish scenarios, including being attacked by a helicopter on a yacht after having just interrogated someone using sharks. Yeah, it’s that kind of story. The Asset fits like a perfect puzzle piece into the genre, not exploring any new territory or playing with the tropes. It’s straight forward in the way most Hollywood films are, the surprising lacking any actual surprise, arriving on cue. A betrayal, a crisis, a girl in trouble. The thriller has, ironically, become a bit of a yawnfest and you may find yourself turning the pages because your neural pathways have been stimulated enough that you are compelled to do so, but the joy is limited. There are many merciful passages where the book reads like a screenplay and allows the reader to fill in the gaps with the necessary “yadda yadda” of action. 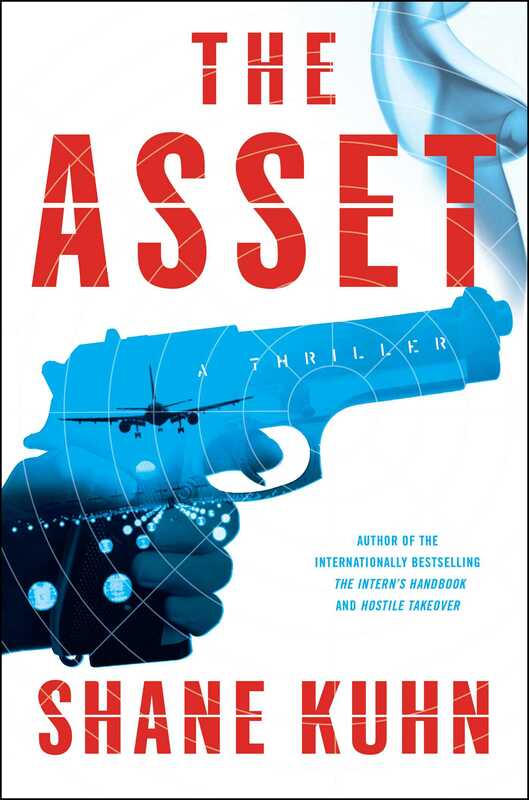 The Asset is so comfortable that even the gruesome descriptions read as excitingly as a connect-the-dots. Toward the end of the book, Kennedy has to backtrack through 25 airports. Thrilling. So maybe you won’t be “thrilled” per se, but The Asset manages to entertain in a cursory. It may just be more worth your while to pop in your favorite Bond flick. Unless, of course, you too are haunted by 9/11 and need to decompress with some macho fantasy.